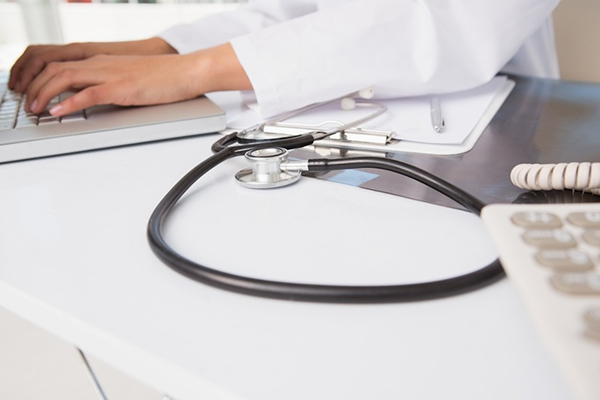 On February 5, 2019, the Centers for Medicare & Medicaid Services (CMS) posted a new version of the MDS 3.0 Data Specifications that will go into effect on October 1, 2019. In addition to the removal of eight current item sets: NS, NSD, NO, NOD, SS, SSD, SO, SOD, CMS posted a new version, V1.04.0, of the MDS 3.0 Care Assessment Trigger (CAT) Specifications and two new MDS item sets: Interim Payment Assessment (IPA) and the Optional State Assessment (OSA). The only CAT update was CAT 12, Nutritional Status. For the assessment types, Medicare 5-day Nurse Practitioner (NP) assessment will pay for the entire Medicare A stay unless an IPA is completed. An IPA is an optional assessment that the facility has to decide when is needed. The facility would determine to complete an IPA when the resident’s characteristics have changed enough to adjust the resident resource payment groups. According to CMS, “The Assessment Reference Date (ARD) of the IPA is the date the facility chooses to complete the IPA relative to the triggering event that causes the facility to complete an IPA”. One of the complicated parts of this change is there will be no transition period from the current RUG-IV system to the new Patient-Driven Payment Model (PDPM). As of October 1, 2019, facilities will need to complete a transitional IPA assessment for each active Medicare A resident. The ARD must be set by October 7, 2019 which means the ARD must be a date from October 1 to October 7 on the IPA assessment, no matter what Medicare A day the resident may be on at that time. For example, a resident had a fall at home on September 5, 2019 and fractured their right hip. The resident was hospitalized for five days for a surgical repair, prior to their admission to the nursing home on September 11, 2019. The facility completes a Resource Utilization Group Version IV (RUG-IV ) Prospective Payment System (PPS) 5-day assessment and a 14-day PPS assessment per regulations. Both assessments provided a RUG of Rehab Very-High. Day 20 of the residents Medicare A stay is September 30, 2019, but the PDPM payment system starts on October 1, 2019. The ARD of the transitional IPA assessment must be set for a date from October 1 to October 7,.so the facility selects October 7 as the ARD for the IPA. Financially, starting with day 21 of the resident's Medicare A stay, the new PDPM payment will start October 1, 2019 using the Health Insurance Prospective Payment System code from the transitional IPA, even though regulations note payment starts with the ARD of the IPA. Conflicting as it sounds, transitional IPAs and standard IPAs are very much different. Transitional IPAs begin payment as of October 1, 2019 and is exclusive to those completed during the first week of October. With this said, because the categories physical therapy (PT), occupational therapy (OT) and non-therapy ancillary (NTA) have a variable per diem adjustment, this will affect the starting payment. The PT/OT variable payment decreases by 2% starting day 21 till day 27. In other words, from the beginning of PDPM, facilities could be receiving a 2% decrease per day, per Medicare A resident, then another 2% decrease every 7 days until Medicare A discharge. It is important for facilities to know where they stand with their reimbursement for each resident on October 1, 2019. LW Consulting, Inc. can help you prepare for PDPM. Contact Terry Raser, Senior Consultant at 484-365-2680 or email at TRaser@LW-Consult.com.